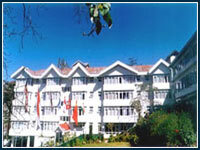 Radisson Jass Hotel, a 5 star hotel is nestled in the scenic locales of Shimla in a quaint location. A proud member of the 400 strong Radisson group of hotels, it's un-matched services and state of the art facilities offer guests a perfect abode in the hills. 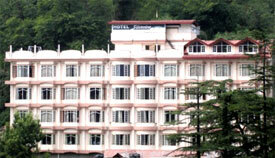 Hotel Silverine is located on the famous Mall road and close to the Shimla club and Himachal Pradesh High Court. 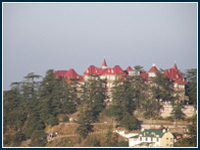 It overlooks the beautiful Shimla town, which appears to be cut out of the hills. The hotel offers all modern facilities at reasonable prices. Willow Banks was established in the year 1871, a landmark estate which spells history and exemplifies an era of gracious living, originally owned by Arthur James Craddock, "Architect and Builder of Simla". The hotel has been rebuilt and converted into a modern and commodious Deluxe Hotel. It provides a rare opportunity to enjoys nature's serenity and magnificence. The hotel presents a rare and kaleidoscopic view of the landscapes dipped in mysterious mist all around. With a scenic view across the valley, The Oberoi Cecil is a perfect base from which to explore the spectacular mountain scenery, cedar forests and ancient temples of this world famous destination. 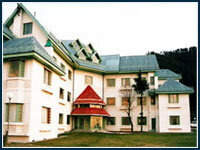 Himachal Tourism flagship hotel, The Holiday Home offers comprehensive facilities in a convenient location. Its imposing building faces the heart of town and all major places are within easy distance. Clarke's Hotel, a heritage hotel since 1898, embodies the elegance and charm of yesteryears, with modern conveniences of today. 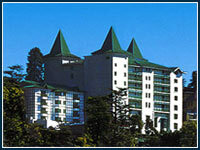 Located on Shimla's main promenade - The Mall, you are immediately welcomed into a warm and graceful environment. The most comfortable and luxury stay is kindly ensured by Hotels in Shimla, when you make a visit in the mesmerizing Himachal region. The haughty mountains, marvelous waterfalls, snow all over, deep valleys and wonderful rivers display fabulous views of the destination. Being in Resorts in Shimla, you can view these picturesque attractions of the valley, amidst the beauty of marvelous pine forests and apple orchards. 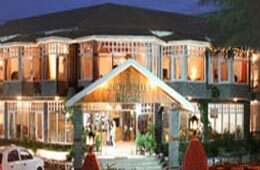 There are a large number of options of hotels and resorts in the beautiful region. 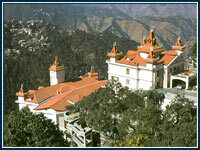 If you can afford the luxury stay in the valley, you can opt for Shimla Budget hotels. 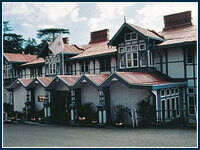 If you don’t find this luxury affordable for you, you can go for any of the Luxury hotels in Shimla. Some of the best such hotels and resorts are Toshali Royal View, Shilon Resort, Park Woods Resort, Ashiana Regency, Springfields, Hotel Sukh Sagar and Hotel Leela Regency, among others. These hotels provide you superb travel assistance promising you refreshing trips to the best of the destinations in Shimla promoting tourism in Shimla. Your shopping needs are fully satisfied at the famous The Mall in Shimla. Other amazing attractions in Shimla are the Jakhoo Temple, the Tara Devi Temple and the Christ Church, to bring you with a religious feel. Whether you are a honeymooner or a family holidaymaker or a business guests or a leisure traveler, you get here all the facilities and services you need. Therefore, book a room in any of the best resort for a totally hassle-free stay here.